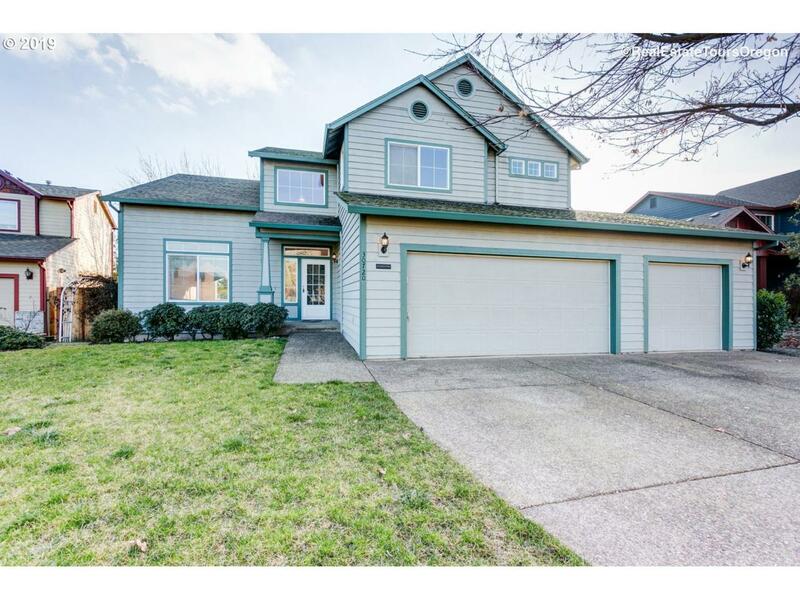 Spacious 4 bedroom, 3 bathroom home. Great floor plan with bedroom and full bathroom on the main level, formal living and dining rooms, plus family room with gas fireplace, upstairs office or bonus room, open kitchen with nook, large master suite with soaking tub, walk-in closet, 3 car garage, french doors leading to a covered deck and fenced yard. Fresh paint upstairs, some newer carpet. Open houses 2/9 and 2/10 from 12-2pm.